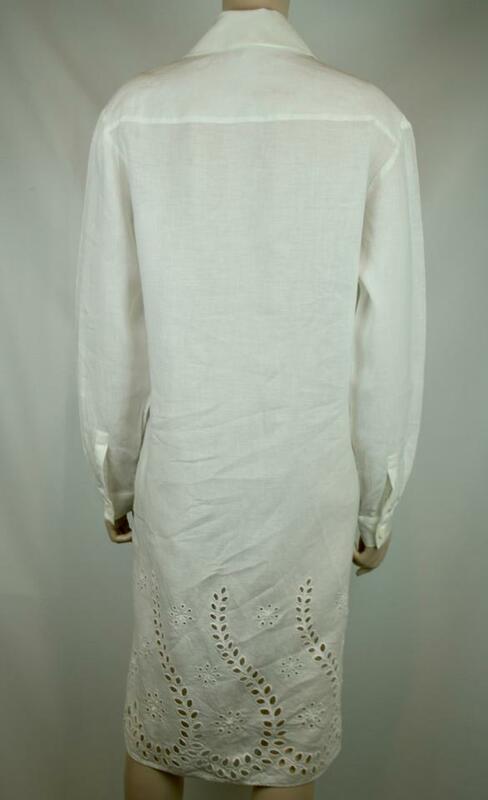 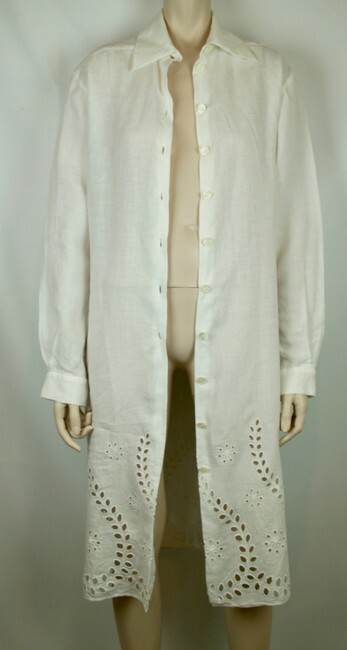 I have a beautiful Celine white linen full length coat or jacket with lace eyelet trim from the hip to the hem. There are 11 mother of pearl buttons down the front to close, and one mother of pearl button on each cuff. It is a French size 38 (typically a USA size 8). 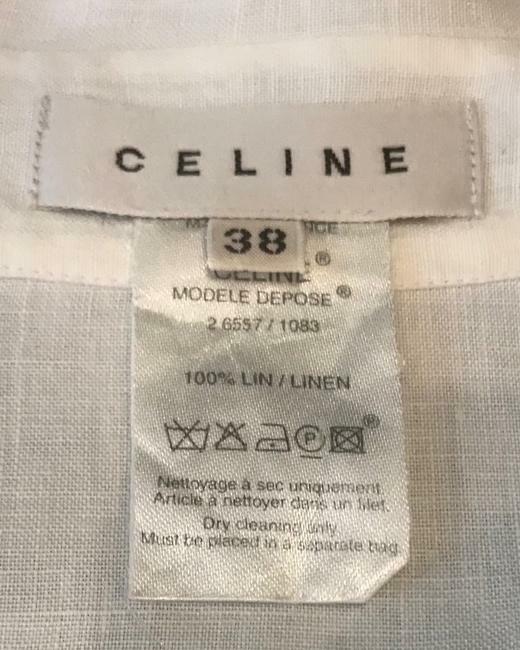 I only wore it once and it is excellent condition. The only flaw is that one of the mother of pearl buttons on one sleeve is chipped but other than this, the jacket/coat is in wonderful condition.